Know Your Beers – Our Guide To Abbey & Trappist Ales! I bet you all have a friend or a colleague who tells you they don’t like beer? I know. It’s unfathomable to you and I. But these mad, sad fools need our guidance because their experience or perception of beer has probably been a poor one. We know that not all beer is the same, we know that saying you don’t like beer is akin to saying you don’t like food. 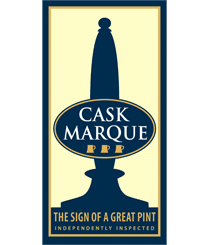 So, in this new series from Annabel Smith, in-house Beer Sommelier at Cask Marque, we’re going to take a light hearted look at a range of beer styles, and help you persuade the uninitiated masses to try a tipple. *Spoiler alert: some of these beer styles are NOT cask. Gulp! Unlike some of our previous beer style blogs, Trappist and Abbey beers are not a specific style – instead they can be light or dark, dry or sweet, fruity or spicy. They are high in alcoholic strength, usually sweeter than other beer styles, and designed for sipping like a fine wine or port. Their distinctive flavours and aromas are derived from Belgian yeast strains. What Are Abbey & Trappist Ales? 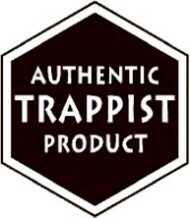 Trappist beers are made by monks at a small number of accredited breweries inside monasteries, and will always have the unique authentic symbol. One of the basic principles of monasticism is self sufficiency – the monks should never have to venture outside the monastery walls and face the temptations in secular life. But they needed funds for the upkeep of the monastery, and also to provide for the needs of the community. Monks made excellent brewers: they paid close attention to sanitation, they were literate and wrote recipes down, and were patient. Their costs were low, so they were able to use better ingredients than commercial brewers. The monks in Northern France, known as ‘Trappists’, brewed excellent beer, and sold and traded it to the outside world. Of the 12 recognised Trappist breweries in the world that carry the ATP (Authentic Trappist Product) label, six are in Belguim, two in The Netherlands, one in the UK, one in Austria, one in Italy and one in the USA. Abbey beers, however, are made in traditional Trappist styles, but may not actually brewed within the walls of a monastery. Many Abbey beer labels will feature monks or other ecclesiastical motifs but it does not guarantee that they were actually brewed within a religious order. These ales are roughly split into two types: Dubbel (double – referring to the alcoholic strength and intensity of flavour) and Tripel (triple) and range from 6% to 14% in strength. These beers demand special glassware. All of the breweries have specific branded glassware, but if this is unavailable they should always be served in a stemmed red wine glass or a goblet glass. Because the branded glassware for these beers is so beautiful and decorative, the glasses frequently go “missing” from bars. Many bars in Bruges now ask for your left shoe when ordering a Trappist beer in its original glass – so the customer has to return the glass before they can leave the bar! These big flavoured beers suit big flavoured foods – the sweetness will CONTRAST with creamy pungent cheeses like Brie de Meaux and Camembert, and the high alcoholic strength will CUT through the fattiness of these cheeses. That same sweetness will CONTRAST with gamey meats such as venison, duck, and pheasant or COMPLEMENT the caramelised fat in rib eye steak, rare roast beef or sausages. Like our beer styles blog? Read our ones on Stouts & Porters, Wheat Beer, Pale Ale and Lager.